PEGGY'S COVE, N.S. -- One of the most-photographed Nova Scotians is missing. 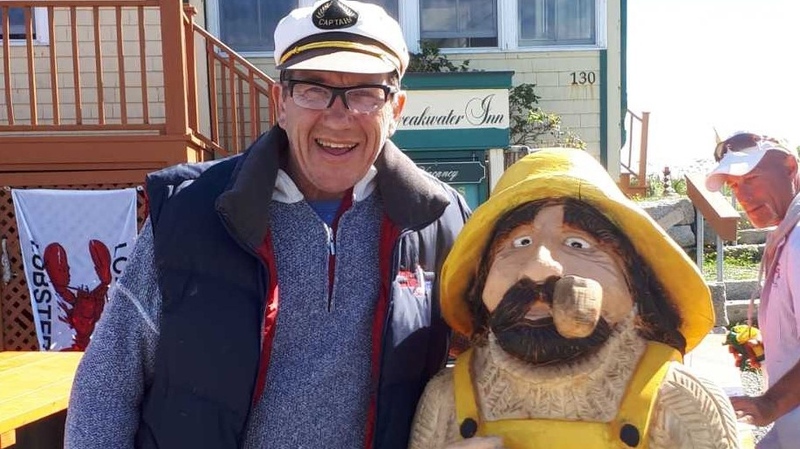 Shorty, a wide-eyed, five-foot-two wooden fisherman, was stolen from outside a tourist spot in Peggy's Cove, N.S., earlier this week. Owner Peter Richardson, who announced the loss on Facebook, said Shorty arrived in August and proved to be very popular. Richardson owns several businesses in the tourist area, including Peggy's Cove Lobsters. He bought Shorty for $1,000 to draw customers to his lobster-roll food truck. He says the folksy statue was photographed thousands of times. "I'd say one in five people stopped to take a picture with Shorty," said Richardson, who also owns Peggy's Cove Boat Tours. "If they were a couple, one would put their arm around him to take a photo." He suspects it was stolen as a prank. "I hope one of the fraternities got him in one of their dorms. I went to university once and we did stuff like that," he said. "We just hope that he's having fun, that he's OK, and that he's coming back. We miss him dearly." Richardson has offered a $200 reward.